In 1998, Bernice Cubie got caught with $10 worth of cocaine. Since it was her third offense, although she had never hurt anyone, she was sentenced to up to life in prison under California's Three Strikes law. Now 59 years old, Cubie has served more than 14 years in prison at a cost to California taxpayers of around $700,000 dollars. Barring something changing fast for Ms. Cubie, she will die in prison. The African-American grandmother has already lost one kidney in prison and is now suffering from an advanced form of terminal cancer. Although she walks only with the assistance of a walker and had a parole plan to be housed with her daughter and a drug treatment counselor, as well as the recommendation of prison doctors, the California parole board denied her compassionate release petition. She has less than six months to live, but will not have a parole opportunity until 2023. Shane Taylor is another California Three Strikes lifer. He's also been behind bars since 1998, when he was convicted and sentenced to life for possession 0.14 grams of methamphetamine. His previous two convictions were for burglaries days apart in which nothing was taken but a checkbook, and police recovered that before any money was withdrawn. The judge who sentenced Taylor now regrets that decision and speaks out publicly in favor of his release. So does the district attorney who prosecuted him under the Three Strikes law. But although he has already served 13 years in prison for little more than a tenth of a gram of meth, he won't be eligible for parole for another dozen years. That is, unless California voters next month approve Proposition 36, a measure designed to amend the Three Strikes law so that only prisoners whose third strike was a "serious" or "violent" offense under California statute would be subject to life imprisonment. In addition to modifying future Three Strikes sentencing, the measure would also impose some retroactivity, allowing prisoners currently serving Three Strikes life sentences to seek a judicial order to reduce those sentences to no more than twice the sentence for a first offender. Proposition 36 could save the cash-strapped state $100 million a year, according to the Legislative Analyst's Office. Between the prospect of budgetary savings and the desire to undo egregious sentences imposed on small-time, nonviolent offenders, including many drug offenders, the measure looks likely to appeal to California voters. According to a bevy of recent polls, Proposition 36 appears to be sitting pretty. A September California Business Roundtable poll had it winning 72% to 19%, a September Los Angeles Times poll had it winning 65% to 20%, and an October Business Roundtable poll had it winning by 72% to 20% in a survey that included strong support, likely support, and leaning toward. The lone outlier was a September SurveyUSA poll that had Prop 36 with 43%, with 23% opposed and a whopping 34% undecided, but even in that poll, support for the measure was nearly double opposition. "Things are looking pretty positive," Yes on 36 spokesman Dan Newman reluctantly conceded. "Most of the public polling has it around 70%, and people are voting now. We've built an unprecedentedly broad and deep coalition with support from law enforcement leaders, civil rights groups, the district attorneys of big cities, and fiscal conservatives like Grover Norquist." Indeed, the campaign's list of endorsements is impressive, and includes Los Angeles Mayor Villaraigosa, Los Angeles County District Attorney Steve Cooley, and LAPD Chief Charlie Beck and former Chief Bill Bratton. Also on board are San Francisco DA George Gascoigne and Santa Clara County DA Jeff Rosen, along with several dozen other law enforcement and elected officials. "The state should not allow the misallocation of limited penal resources by having life prison sentences for those who do not pose a serious criminal threat to society. The punishment should fit the crime," said Cooley. Somewhat more head-turning is support from conservatives, such as Norquist and his Americans for Tax Reform. It's about the money, said Newman. "Conservatives support this largely for fiscal reasons," he explained. "They don't like seeing us waste $100 million a year at a time of looming fiscal crisis. This is money that could be used for schools or to prevent crime." Not everyone supports the initiative. Mike Reynolds, the author of the original Three Strikes legislation, wrote that initiative after his teenage daughter was shot and killed by a repeat offender in an attempted purse snatching in Fresno. He says that $100 million a year is a small price to pay to keep dangerous offenders locked up. "Three Strikes passed and California's crime rate dropped in half," said Reynolds. "There is no way we should change something that has been so successful," he argued. "The reductions in crime have really saved the state an enormous amount of money and increased our quality of life. You have half the chance of being a violent crime victim than before Three Strikes." But attributing the drop in crime in California to the Three Strikes law may be a stretch. Violent crime rates have been dropping around the country for the past two decades -- in states with and without harsh sentencing mechanisms. Criminologists are divided on the causes of the drop. "The initiative campaign is quick to point out their support from law enforcement, but only three of 58 district attorneys, one sitting police chief, and one retired chief support it," Reynolds said. "Virtually all major agencies in the state are against this. Everything with a badge and a uniform short of the Cub Scouts is against this thing. I've never seen such a full court press." But despite all that supposed law enforcement enmity, there has been very little opposition presence this year. That's a change from 2004, when Proposition 64, which also would have amended the Three Strikes law, looked set to pass until the final weeks, when Gov. Schwarzenegger and actor Martin Sheen helped law enforcement raise a late clamor and send the initiative down to defeat. Reynolds' opposition to Three Strikes reform is understandable given his personal history, said Newman, but it shouldn't get in the way of smart public policy. "I'm sorry for the unbelievably tragic loss he suffered," he said. "It's the worst thing anyone could have to go through, and I can't imagine the pain and suffering that must bring, but for folks who want to prevent serious and violent crimes in the future, the best way to do that is to ensure that law enforcement resources are focused on those dangerous and violent criminals. 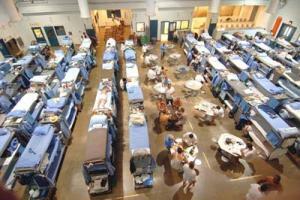 We are facing dual challenges of fiscal crisis and prison overcrowding," Newman continued. "We have to be smart and make some wise decisions in terms of how we deal with this. Will we release someone who recently committed a violent crime or will we release someone who got caught with a joint 30 years ago and is now in a wheelchair?" California voters are already making their choice through early voting. We will know how they feel when the final votes are tallied on election day. Some of these most widely affecting statutes were first promulgated as a suggestion for being a solution for repeated 'Drug Lords' situations. The problem with how these statutes get passed with ill defined reasoning should be a noteworthy point of discussion. One might consider this 'process' of policy to be subject to equal amounts of corruption with the advent of any basic change in MJ prohibition. For reasons not discussed openly at initial considerations by the public, a statute was passed, that led to, what should have been seen as, a window whereby users would fall under the public tax supported criminal system. Ultimately, a socially supported program for dealing with drug use with the tax base, benefited a number of people, companies and institutions. But solved nothing... drug abuse. And the Drug Lords keep replacing each other. I have to say that 'falling violent crimes/rates' may be a a factor due to smarter criminals. That even in the 50's small criminal orgs learned it was better to 'buy' their way, than 'force' their way. This may better define 'crime rates', as those which can be discovered in a simple manner. Also one should consider Corporate corruption has been the burgeoning area of educated crime, but is let off with a fine and few indictments, much less arrests or convictions. When one takes the 'less crime' advent supposition that locking up the low hanging fruit/stupid criminals reduces the crime rate, we need to consider that the willingness of those whom investigate and enforce the law, or not in the case in the not so low hanging fruit, are the ones that define what the 'rate', actually is. I do understand these 'rate' describers concerning their 'confusion', after all, none wish to be the ones that point out crime is not falling, that violent crime is covered up within the paradigm of 'smart criminals', and the less than easy discovery/prosecution. Sounds good though, "...less chance of being a violent crime victim..". Too bad we will still be subject to crime and violence as stupid people/criminals will be born long after any amount of, For Profit or not, prisons are built. SECTION 1170(E)(2)(B). And it was voted and approved by the full board to be referred to the Court in Kern county. This is the process that the State must follow when granting compassionate release to a prisoner. She has actually been approved for further consideration for compassionate release. So, this claim that she was denied compassionate release is a flat out lie. Please make sure you check your facts when making serious claims like this. In addition - to add to your mis-information that is strewn throughout this article, the three strikes initiative on the ballot is not supported by the majority of law enforcement or conservatives throughout the state. Currently most counties have policies in place that do not sentence criminals to a third strike if the offense is not violent or serious in nature. However, there are those cases that come before the district attorney and judges where a career criminal has several violent and serious crimes in his/her history and though the current offense is not of a violent or serious nature, the criminal's history matched with his/her current criminal behavior deems a third strike sentence appropriate. This law was created to keep career criminals off the streets - and it is working. There is a process including district attorney approval and judicial approval that are in place when each strike is filed and the sentence is decided. By taking away the discretion of the district attorney's offices and the courts, you are tying their hands in their quest to keep our streets safe. What proponents of Prop. 36 claim, that there are hundreds of criminals in prison on petty crimes, is not accurate. Only 2-4% of criminal in on a 3rd strike are for minor felony crimes. Please remember, that third offense, though not necessary to be violent in nature - must be a felony. Doing nothing that day means people you love will continue to be put in jail and have their lives ruined for just trying to enjoy their lives and maybe improve someone elses. MaryJ.